Revival starring Ken Watanabe bags 4 Tony Awards. 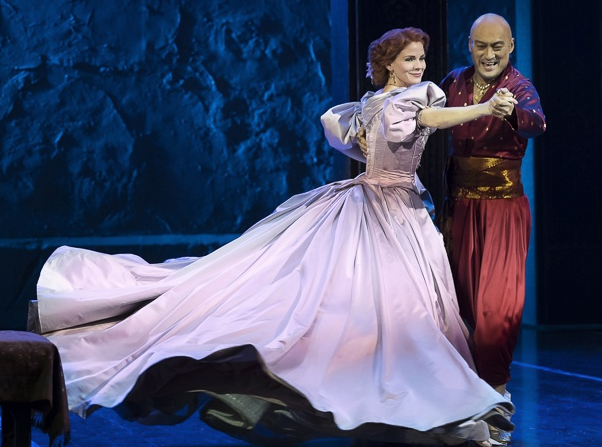 The Broadway musical “The King and I,” starring Ken Watanabe and veteran American actress Kelli O’Hara, on Sunday received four of this year’s Tony Awards, the most revered prizes in American theater, including best musical revival. The best musical actress award went to O’Hara, who in her acceptance speech thanked her Japanese co-star as well as others involved in the production, which was nominated in nine categories. “My king, Ken Watanabe, you’re the king, my king,” said O’Hara, who played Anna Leonowens, English teacher for the children of the king of Siam. 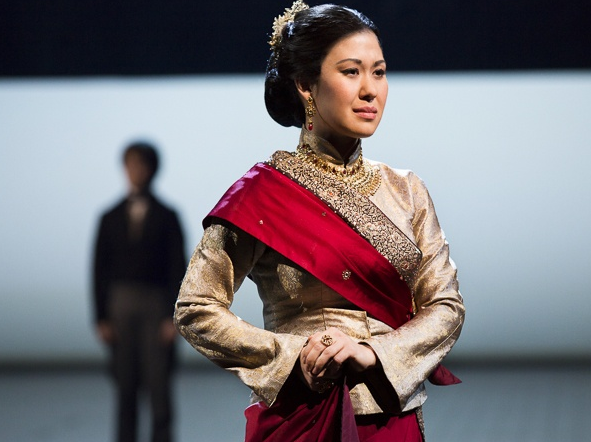 “The King and I” also won a Tony for Catherine Zuber’s costume design. The nine Tony nominations of “The King and I” was one of the most for this season’s musicals and plays. The Rodgers and Hammerstein classic, set in the 19th century in what is now Thailand and based on a true story, was first performed in 1951. It revolves around an unexpected bond that develops between the king of Siam and Leonowens. The role of the king is often associated with Yul Brynner, who starred in original Broadway production in 1951 with Gertrude Lawrence and the 1956 film version with Deborah Kerr. He played the role on stage more than 4,000 times, including a revival in the late 1970s and early ’80s, and in a short-lived TV series, “Anna and the King,” in 1972. Caucasian actors have often been cast as the king, including Farley Granger, Herbert Lom and Darren McGavin, but in recent years more actors of Asian descent have been cast, including Jason Scott Lee, Lou Diamond Phillips and Paul Nakauchi (who appears in the current production in a different role). Non-musical film adaptations were made in 1946 with Rex Harrison and Irene Dunne and in 1999 with Chow Yun Fat and Jodie Foster. The latest revival version opened officially at the Lincoln Center Theater in New York on April 16 after a nearly one- month-long preview. Awards are given in more than two dozen categories in musicals, plays and special recognitions. The best musical award went to “Fun Home,” while “The Curious Incident of the Dog in the Night-Time” was named the best play. A comment about this article may have been accidentally deleted. Please repost.